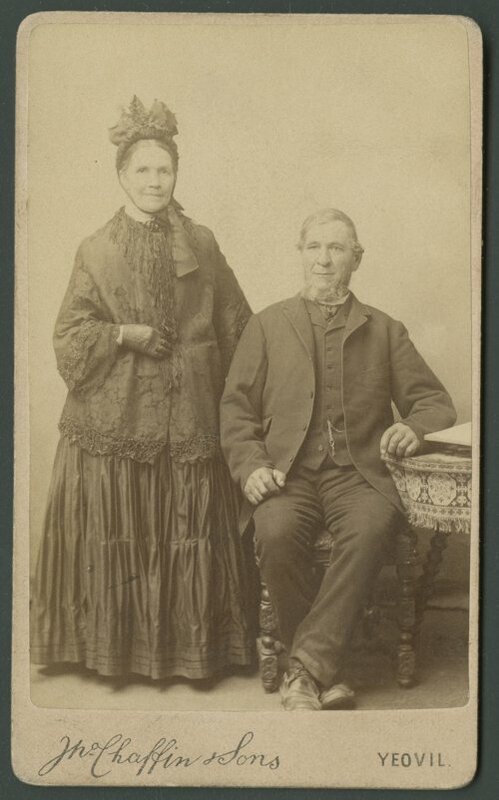 This is a carte-de-visite photograph showing Samuel and Susan Townsend who lived in Kingsbury Episcopi, England. They had seven children: Mealina Townsend, Jane Townsend, Elizabeth Townsend, John Townsend, Jim Townsend, Sara Townsend, and Anna Townsend Quantock (Quantic). In 1894, Anna left England and came to Riley, Kansas, and soon after her arrival she married Thomas G. Quantic.